January 11th - February 11th! Isaac has been home for a month now! Praise the Lord! He is still on oxygen and feeding through his gastric tube. There have been a few bumps along the way but he is doing well. He is approaching 14 pounds. 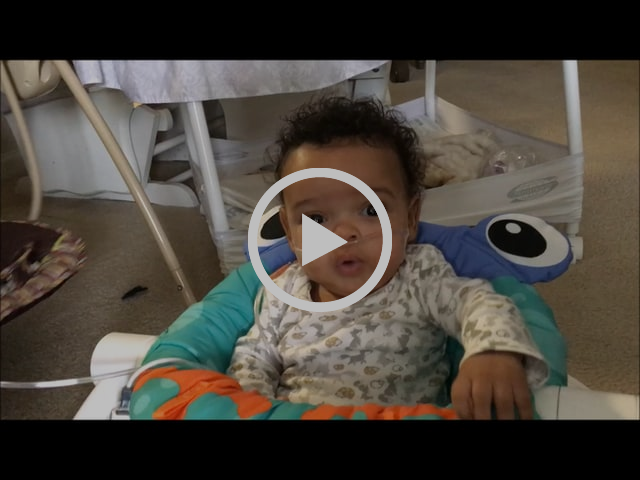 Isaac is doing his physical, oral and occupational therapies on a regular basis. His therapists noticed that his torso was weak and gave us some exercises to help him. We see very encouraging progress. He is holding his head and neck more firmly. Thank you for your love for Isaac. Please keep praying for his protection from the flu and continued progress with oral feeding. Although Isaac has been and is our main priority for the moment, we have not stopped being involved with the work at Bongolo Hospital. We spent many hours at the hospital with our laptops working remotely and holding Isaac. When we arrived in Gabon in 2013, we found that the vision for Bible translation had been largely lost and progress was practically non-existent. The Lord allowed us to connect with a variety of people and organizations and facilitate a vision trip for a locally-led inter-church Bible translation movement (see updates from July 2015 & July 2016). That was the beginning of a new vision and one result is Project KIWOYETI. Project KIWOYETI is a collaboration between the Seed Company (a Wycliffe partner) and CIEATLG (French acronym for the inter-church committee) and eight languages to translate and distribute the Gospel of Luke in written, audio & video formats in the next three years! KIWOYETI represents the names of eight languages of Gabon: Kota, Isangu, Wumbu, Obamba, Yinzebi, Echira, Teke & Ipunu. The first of four major linguistic training events for the mother-tongue translators from each language was held at the church at Bongolo hospital in November 2017. 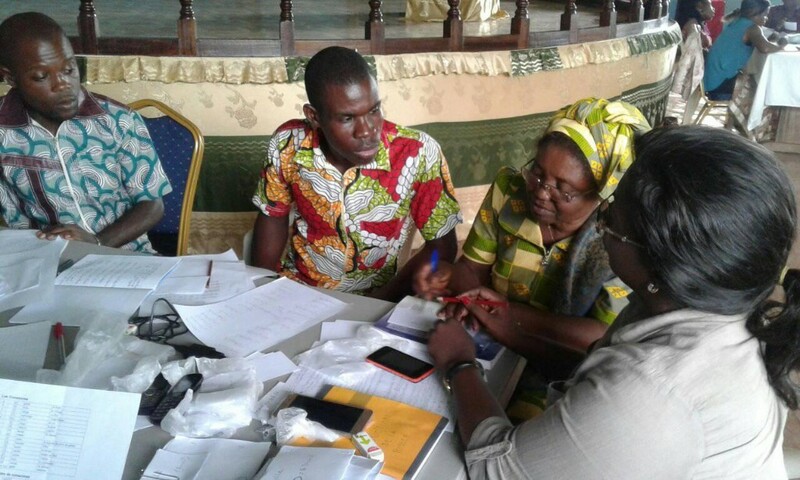 Wycliffe personnel including several from Cameroon are leading the linguistic training of the mother tongue translators. 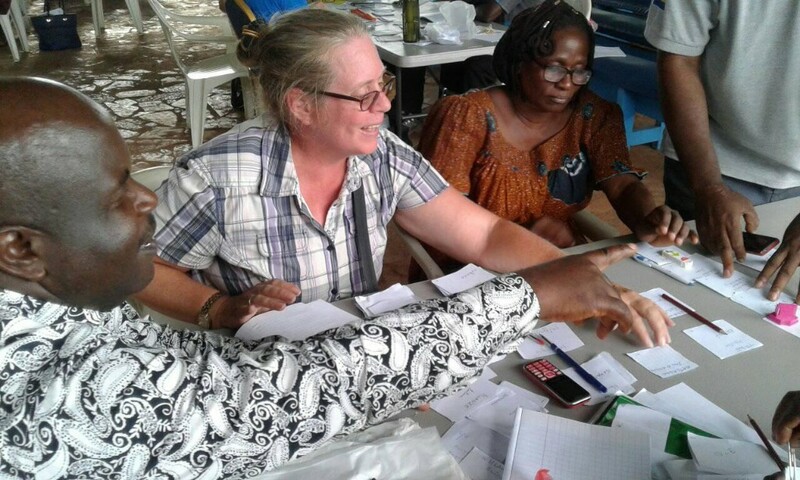 This training was focused on phonetics and standardizing the writing system. The research on consonants and vowels went well but the tonal aspect was challenging! The mother-tongue speakers may not even realize that their language is tonal since it comes naturally to them. Please pray for the 30+ people involved in the Bible translation workshop that started this week! This is the hottest and most humid time of the year in Gabon. Please also pray that Project KIWOYETI would lead to the complete translation of the Scriptures and that it would spark Bible translation in the other languages of Gabon! Please pray for us as we look into strategies to spread God's Word more rapidly and widely throughout Gabon using digital media. A lot of words, a lot of work! Copyright © 2018 Robert & Bintou Peterson, All rights reserved.